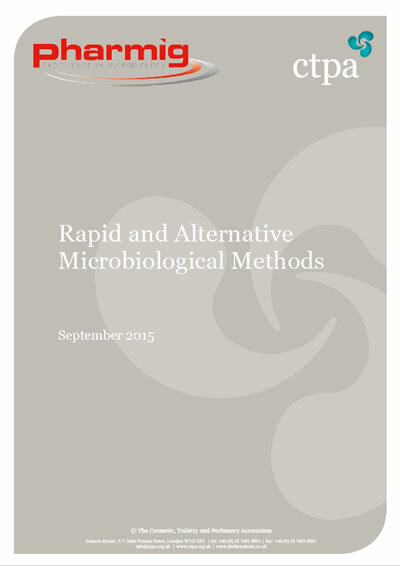 Rapid Microbiological Method technologies aim to provide more sensitive, accurate, precise and reproducible test results when compared with conventional, growth-based methods. They normally involve some form of automation and they often capture data electronically. 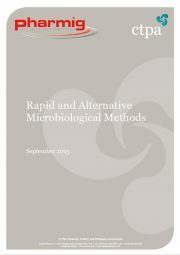 Microbiologists can be inundated with literature advertising equipment and courses relating to ‘Rapid Microbiological Methods’ and ‘Alternative Microbiological Methods’. Often, however, the literature does not explain whether the method will work for the company’s product range, whether it is cost effective, how it should be validated, how any changes to microbiological risk are managed and if the purchase can be justified. to provide some guidance for microbiologists who are investigating the use of R/AMM in routine quality control of cosmetics personal care products and pharmaceuticals. The intention of this guideline is to provide information and guidance on technological and equipment-related advances in microbiological testing and identification which can benefit the manufacturer to make faster or improved decisions in the areas of quality assurance, product release and recall. Basic enabling or supporting techniques which generally improve the microbiological technician’s day-to-day activities such as automated plate pourers, plate counters, spiral platers and stomachers are out of the scope of this document. This publication is produced and sold as a PDF document only and is for the sole use of the individual purchasing it.